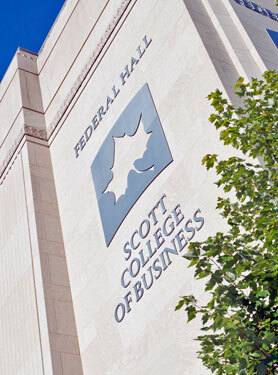 Our Scott College of Business advisory councils do just that. They advise us in a number of ways. Members of these councils advise us on matters of importance in business and industry, provide input on our curriculum and student skill sets, and connect with students in the form of internship sponsorships, corporate mentorships, as industry visit hosts, and more.